During any given hour, over 1 million people are streaming games. Despite the popularity of streaming, today’s platforms such as Twitch, YouTube, MLG, and Huya do not allow viewers to purchase the physical products they see on screen. This is a multi-billion dollar market that is not being served by the existing livestream platforms. 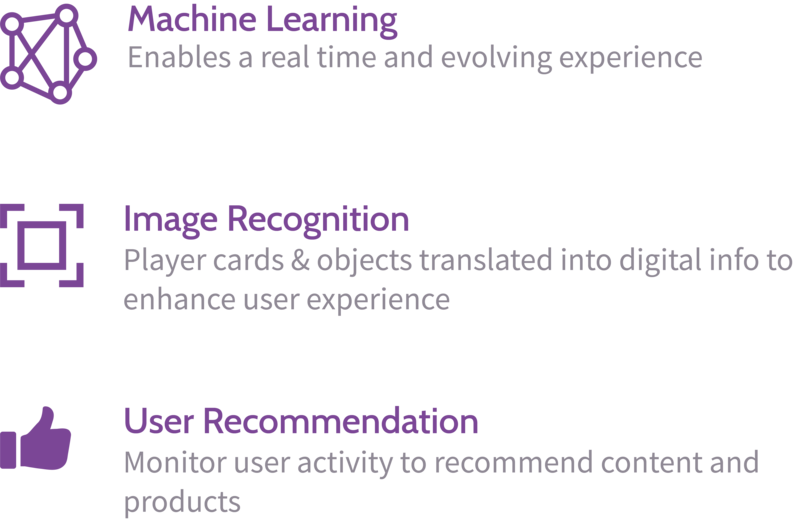 CardBoard.Live’s solutions include in-stream interactive features, image recognition, and the ability to purchase items you see on the screen while viewing. This improves functionality for streamers, and enhances the viewing experience for viewers, while rewarding retailers and content producers. By combining multiple key technological innovations, we are able to better serve viewers with the content and information they desire the most. "CardBoard.Live brings engagement and viewer interaction to a whole new level! When viewers feel like they are in control it makes them more interested and involved in the stream." "Streaming is about learning together, and with CardBoard.Live the viewers are instantly up to date with the information required for decision making." "Cardboard Live has reduced the number of simple questions chat members are asking me, allowing me to focus on more interesting questions and talking through my lines of play more." In only three short months, we have had tremendous growth and adoption of our beta-extension. 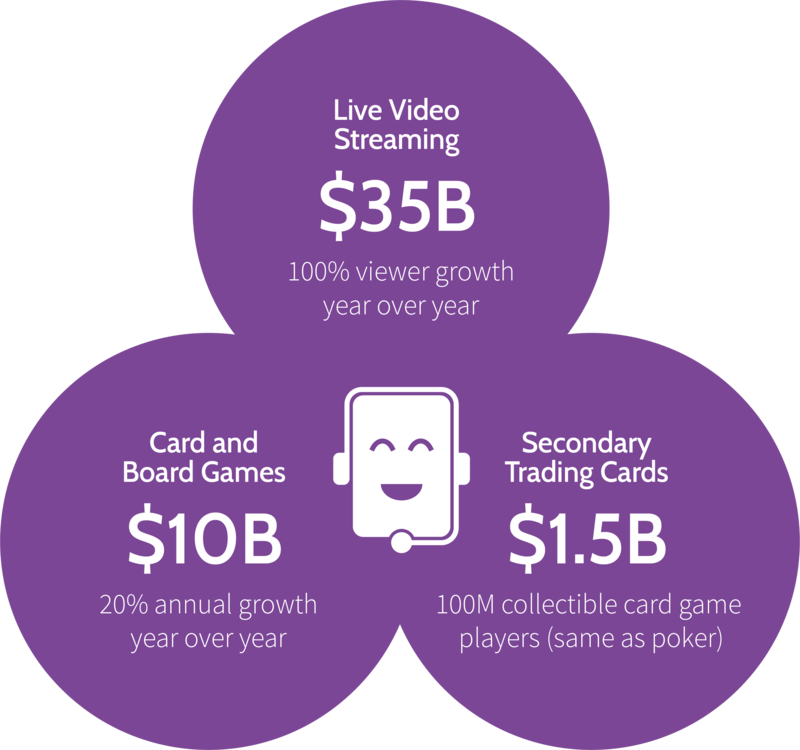 With agreements to stream some of the largest card game tournaments early next year, this is only the beginning! During our beta phase, enthusiasm surged as CardBoard.Live received over 10,000 pre-launch sign-ups in one week. 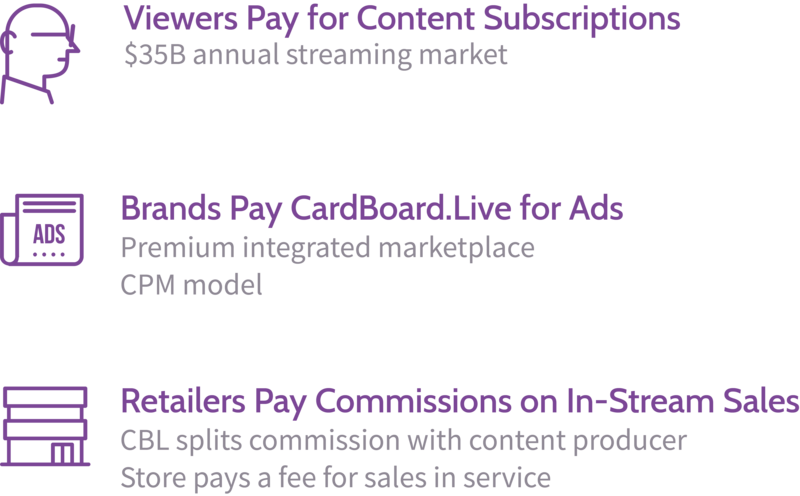 CardBoard.Live has raised $753,200 in seed rounds through the summer of 2018 from investors, with the most recent round at a $3.5M valuation. Our beta phase has received massive adoption. With your investment, we will be able to begin full platform production in Q1 of 2019. James has over 15 years of competitive card gaming experience. As the author of a Magic memoir, Magic: The Addiction, and host of the Magic-themed podcast, Humans of Magic, his passion for games and online gaming runs deep. James has 15 years of work experience in the tech industry -- in software development, project management, and product management roles. He has held senior leadership roles at Yahoo, Amazon, and Microsoft. As the product lead of Microsoft’s Cortana Mobile during 2017-2018, he directly contributed to +30% user growth. James is a seasoned tech and gaming veteran and is now bringing his experience and expertise to CardBoard.Live. Wilson is a top 20 all time international Magic Legacy player (out of 1MM+ registered tournament players); Pro Tour competitor and top finisher, multiple Grand Prix top finishes, multiple StarCityGames Invitational top finishes. 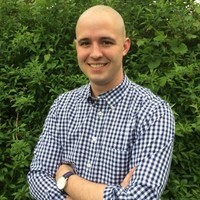 He is the co-host of the Magic-themed podcast, The Brainstorm Show. In his career, Wilson started a scholastic journalism contract sales business and became a top 5 performing sales office. He was national Rookie of the Year at age 21 and has been a speaker at multiple national conferences. Wilson is bringing his leadership and sales prowess along with his gaming enthusiasm to CardBoard.Live. Join us in taking the experience of watching card and board games online to the next level! Together we can strengthen the entire ecosystem for online gaming and content creators. Thank you for your support! The smallest investment amount that CardBoard Live is accepting. CardBoard Live needs to reach their minimum funding goal before the deadline. If they don’t, all investments will be refunded. If a trigger event for CardBoard Live occurs, the discount provision gives investors equity shares (or equal value in cash) at a reduced price. CardBoard Live needs to raise $25K before the deadline. The maximum amount CardBoard Live is willing to raise is $1.07M. Social Shout Out! We'll publicly share our gratitude for joining the experience! Custom CardBoard.Live Jersey. Your name on the back! 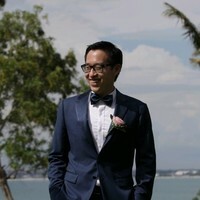 Serial entrepreneur & professional nerd. Top 20 all time international Magic Legacy player; Pro Tour competitor and top finisher, multiple Grand Prix & StarCityGames Invitational top finishes. Co-host of the Magic-themed podcast, The Brainstorm Show. Tech guru & gaming enthusiast. Author of a Magic memoir, Magic: The Addiction, and host of the Magic-themed podcast, Humans of Magic. Held senior leadership roles at Yahoo, Amazon, and Microsoft. What type of games is CardBoard.Live for? Currently, we are focusing on physical card games which has a large streamer base online. 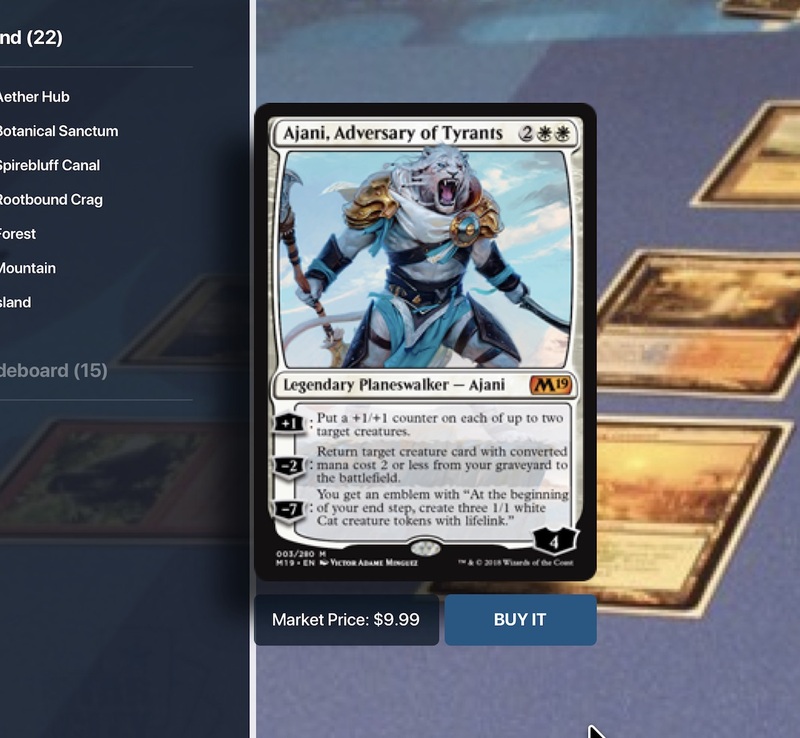 At present, we are designing specifically for Magic: The Gathering, but our tools can be used by a wide range of physical and digital card games. Tim Draper: So, let's go on to our next guest. And before we do, let's see what's going on behind the curtain. Wilson Hunter: I'm Wilson Hunter, I'm founder and CEO of Cardboard Live. Before this I spent hundreds of miles on the road doing a sales job, and really I wanted to stop doing that and really follow my passion. I'm a huge nerd, I play the game Magic the Gathering professionally. So now, right now, live streaming video games is huge, but in physical games there's a lot of missing information. We're totally revolutionizing the experience in a way they currently interact with games, and play games. Wilson Hunter: Deciding to quit something that was really stable and start this, and bootstrap our first product, it was pretty stressful. I really pursued this, not because I have any startup experience, but because I'm really passionate about the product. This is obviously an awesome experience, I mean, everybody knows the Drapers. I would have never really imagined that I'd have this opportunity to pitch to them, so I'm really pumped about it. 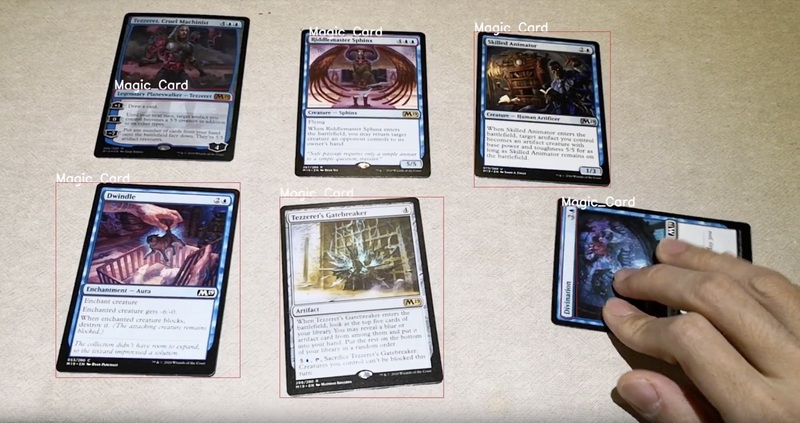 Tim Draper: Oh, these are Magic cards. Wilson Hunter: That's right. So right now live streaming of video games is huge, but when you're streaming a physical game, it brings in new complexities into the issue. For example, blurry cards on the screen, it may be difficult to see them, and missing game information such as player hands, or the contents of a player's deck. Poker popularity increased over 2,000% when they added a digital overlay to the screen that showed the missing contents of player hands. We're doing something similar for nontraditional games, but we're using image recognition which allows users to hover over key items in a stream, and they can even purchase those items. So with over 100 million collectable game players worldwide, and a $1 billion secondary market of trading cards, there's a significant opportunity to provide the shopping solution that integrates with a unique entertainment experience. Wilson Hunter: I actually played Magic the Gathering on the pro tour, and I started this company because it was a problem engaging with my favorite hobby online. So I invite you all to help me innovate, and revolutionize the digital experience for physical card games. Tim Draper: Terrific. How do you help this experience? Wilson Hunter: So usually players like to watch these games on a computer or on their phone, and they can actually hover over individual items, and using image recognition it expands the image and they can read the item. Because it's a collectable game, many players watch this because they would like to play the game themselves, so they can actually click on the item live in a stream and purchase it for themselves. Sonny Singh: So are you selling the software to the other market, to the game sites? Wilson Hunter: We are an extension that can go on top of something like Twitch. Wilson Hunter: But we're creating our own platform right now because we would like to integrate market places with the ability to do this, so that they can buy and sell cards through the stream. Tim Draper: Are you gonna show them how by doing Magic the Gathering first, and then move on to other card games, and other games? Wilson Hunter: Absolutely. 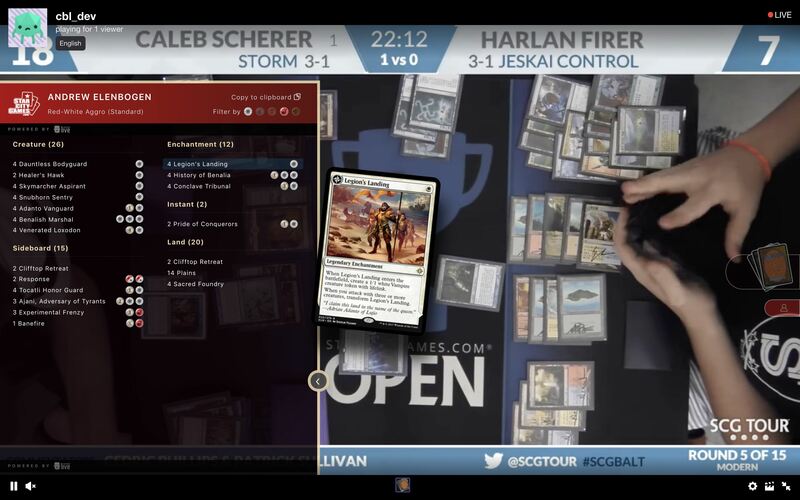 So Magic the Gathering is our go to market game, and it's a very influencer based market. So sort of like basketball with Lebron James and charging people to buy his merchandise, it's very similar. Tim Draper: What's your background? Wilson Hunter: I'm a marketing guy. I actually started a yearbook design and sales business when I was 21. It was just a hustle job. But really, playing professional cards is my passion and what I do on the side. I went to Spain for a tournament in February. Sonny Singh: What's the prize money in a tournament like that, in Spain or something like that? Wilson Hunter: So that tournament's about half a million dollars. It's lower than poker because there's no buy in, and that's really the key with this, is this is marketing for the creators of the game, and for people that sell the game pieces. It's why there's a different opportunity than your traditional deck of 52, because no one's trying to sell those cards. Bill Draper: How do you play this game? Wilson Hunter: Yeah, so it's sort of like poker meets chess. It's complicated because there's over 20,000 unique cards, and they all do different things and interact with each other in unique ways. Sonny Singh: What's the number two card game behind Magic [crosstalk 00:31:26]? Wilson Hunter: Yu-Gi-Oh and Pokemon are a couple big ones. Tim Draper: And so, are people going to bet on this? Wilson Hunter: Because of some recent launching, just in the US, we're really excited about opportunities to actually bet on hands as a viewer. Tim Draper: You are already doing this, right? Tim Draper: How many people are actually watching you play this game? Wilson Hunter: Right now, some of the tournaments get around a million unique viewers per event. I was one of the players that was featured four times in one of the last pro tours. So far, our first tournament is actually being streamed this upcoming weekend, we expect about 50,000 people to interact with our tool. Sonny Singh: Is your product already built, then? Wilson Hunter: We've already built our first product. We have about 10,000 user pre signups who are interested in it. Sonny Singh: And the secret sauce is the ability to see the cards, is that correct? Wilson Hunter: Yeah, the image recognition's a big part of it. Another part of it, sort of in the background there, are buttons that you can actually see the contents of the player decks. Tim Draper: So if I were going to use your software, I would need a camera pointing down at cards, a camera pointing at me. It's an extra piece of equipment for people. Bill Draper: That's pretty complicated. Bill Draper: And do you get paid by winning, or? Wilson Hunter: We'll be making a fee on the sale of cards through the stream, as well as your traditional freemium based model that allows people to actually subscribe to content creators that they like. 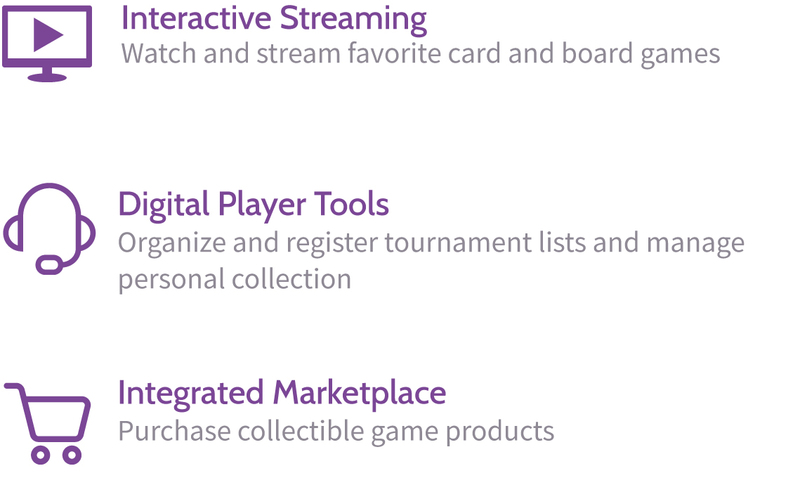 Tim Draper: This is Twitch for card games. Sonny Singh: Where are you at, in terms of funding and who's your team, and all that? Wilson Hunter: Yeah, so we've just done a pre seed raise, and bootstrapped so far. We've raised about $170,000. My co founder and CTO has experience in Microsoft and Amazon, he's over in China. We also have a team of developers. Tim Draper: How big is this market? Wilson Hunter: The hobby games market is about $10 billion, but that includes competitive board games. Tim Draper: I mean, one way to measure the market size though would be, how big are video games, all video games, and how big is Twitch, and all video games? Polly Draper: What's a Twitch? Sonny Singh: It's the one where you watch the people play video games. Polly Draper: Oh, that's that one. Sonny Singh: And Amazon bought it. Polly Draper: Yeah, I asked it before. Twice, twice. Wilson Hunter: A different way of looking at this is actually the number of players. Because Twitch didn't build their platform on the sale of video games, it's actually about the number of players who wanna play and use it. Twitch was bought by Amazon for a billion dollars in 2014, but their valuation is approaching about $20 billion now. Speaker 13: Amazon has purchased game streaming company twitch.tv for close to $1 billion. Tim Draper: You know that really hurts me, because we were early investors in Twitch. And we sold it for a billion going, "Yay, this is great," now it's worth 20 times that. Polly Draper: This is about this specific game. You're starting with this game? Wilson Hunter: We're starting with this specific game, we're also branching out to board games after that, so. Polly Draper: Like Pokemon and Yi-Gi-Oh. Bill Draper: So how does this game work? George: [crosstalk 00:34:23] new player right here, he wants to play with you. Tim Draper: He did it on purpose. Terrific. Before we ask you another question, you've already answered. Yeah. Welcome to Meet The Drapers. Wilson Hunter: Thank you, I appreciate it. Tim Draper: Thank you so much for coming. Wilson Hunter: Thank you. I think it went well. Really, they seemed to sort of go into it understanding the opportunity, which is really cool because I got to talk a little bit about what we've been doing and our progress, and I think Tim seemed like he was really into it. He understood a lot about Twitch. It's just cool to see all the stuff that's happening out here. Really, I've just been working on my startup and I normally look on the computer with some other people around the world. So we really want people that are passionate about this space to invest in our company, and totally change the way that they currently interact with games and play games. Tim Draper: So, let's see how the judges felt about Cardboard Live. And just know, that you are the viewer, and you can vote up, down, or you can invest. So, Sonny, why don't we start with you? What did you think of Cardboard Live? Sonny Singh: Yeah, so I personally don't play Magic the Gathering, but as an investor I'm looking to make return on my money. And this space, whether it be the video game space, a card playing space, as we see from Twitch, has a very loyal following, and a very rabid user base, actually. He's a professional Magic Gathering player, so I assume he knows the bright people in this space. Speaker 14: Take a look at that gamer, [inaudible 00:35:57] Hunter the feast [inaudible 00:35:57] one game to zero. Rocking and rolling here. Sonny Singh: So he developed the right product that solves a pain point, it'll catch on actually. Tim Draper: This would be one, the Amazon, Twitch with half of that. Tim Draper: Actually, I didn't understand it either, but I did invest. Sonny Singh: I was giving you the benefit of the doubt, now. Tim Draper: Holly, what'd you think? Polly Draper: Well, I'm taking everybody else's word for it, that this is an important, interesting platform. But it's not something that I would ever think to invest in. Tim Draper: Dad, what'd you think? Tim Draper: Again, we need to talk to the crystal ball. Polly Draper: One thing that's really funny for it was you know, I'm a jock and everybody was like, "You're cool." Now it's like, "I'm a jock," and everybody's like, "Ew, I want a nerd." Tim Draper: Okay, let's go live. We're gonna gather around the magic ball, and I've got mine. Bill Draper: Oh, good. I got mine. Sonny Singh: Just hit me. Tim Draper: Okay. Well, here we go. Thumbs up, thumbs down, thumbs all around. Polly Draper: This is in. Tim Draper: Wow. Three and three quarters up. Polly Draper: This is all the way up, just because I'm going from peer pressure. Tim Draper: From peer pressure. Tim Draper: Don't take peer pressure. Tim Draper: No, nerd admiration. Polly Draper: It's nerd admiration. Sonny Singh: That wasn't the point of the game actually, so that's funny. Tim Draper: You know, I have actually played Magic the Gathering. Tim Draper: One time, yep. Tim Draper: Yep. And it's interesting. It's like a game of war. Tim Draper: Yeah. Okay, so you can vote, you can invest in Cardboard Live. So do as you will. We are a startup company and our business model currently focuses on building innovative products and growing market share rather than generating revenue. While we intend to generate revenue in the future, we cannot assure you when or if we will be able to do so. We rely on external financing to fund our operations. We anticipate, based on our current proposed plans and assumptions relating to our operations (including the timetable of, and costs associated with, new product development) that, if the Minimum Amount is raised in this Offering, the Minimum Amount plus current cash holdings will be sufficient to satisfy our contemplated cash requirements through approximately October 2019, assuming that we do not accelerate the development of other opportunities available to us, engage in an extraordinary transaction or otherwise face unexpected events, costs or contingencies, any of which could affect our cash requirements. We expect capital outlays and operating expenditures to increase over the next several years as we expand our business. Our future funding requirements will depend on many factors, including but not limited to the following: The cost of expanding our operations; The financial terms and timing of any collaborations, licensing or other arrangements into which we may enter; The rate of progress and cost of development activities; The need to respond to technological changes and increased competition; The costs of filing, prosecuting, defending and enforcing any intellectual property rights; The cost and delays in product development that may result from changes in regulatory requirements applicable to our products; Sales and marketing efforts to bring these new product candidates to market; Unforeseen difficulties in establishing and maintaining an effective sales and distribution network; and Lack of demand for and market acceptance of our products and technologies. We may have difficulty obtaining additional funding and we cannot assure you that additional capital will be available to us when needed, if at all, or if available, will be obtained on terms acceptable to us. If we raise additional funds by issuing additional debt securities, such debt instruments may provide for rights, preferences or privileges senior to the Securities. In addition, the terms of the debt securities issued could impose significant restrictions on our operations. If we raise additional funds through collaborations and licensing arrangements, we might be required to relinquish significant rights to our technologies or product candidates, or grant licenses on terms that are not favorable to us. If adequate funds are not available, we may have to delay, scale back, or eliminate some of our operations or our research development and commercialization activities. Under these circumstances, if the Company is unable to acquire additional capital or is required to raise it on terms that are less satisfactory than desired, it may have a material adverse effect on its financial condition. We were incorporated under the laws of Delaware on March 26, 2018. Accordingly, we have no history upon which an evaluation of our prospects and future performance can be made. Our proposed operations are subject to all business risks associated with new enterprises. The likelihood of our creation of a viable business must be considered in light of the problems, expenses, difficulties, complications, and delays frequently encountered in connection with the inception of a business, operation in a competitive industry, and the continued development of advertising, promotions, and a corresponding client base. We anticipate that our operating expenses will increase for the near future. There can be no assurances that we will ever operate profitably. You should consider the Companys business, operations and prospects in light of the risks, expenses and challenges faced as an early-stage company. The Companys success depends on the experience and skill of the board of directors, its executive officers, and key employees. In particular, the Company is dependent upon Wilson Hunter and James Hsu who are the CEO and CTO, respectively, of the Company. The Company has or intends to enter into employment agreements with Wilson Hunter and James Hsu, although there can be no assurance that it will do so or that they will continue to be employed by the Company for a particular period of time. The loss of either Wilson Hunter or James Hsu or any member of the board of directors or executive officer could harm the Companys business, financial condition, cash flow and results of operations. The Company is dependent on Wilson Hunter and James Hsu in order to conduct its operations and execute its business plan, however, the Company has not purchased any insurance policies with respect to those individuals in the event of their death or disability. Therefore, if either Wilson Hunter or James Hsu die or become disabled, the Company will not receive any compensation to assist with such persons absence. The loss of such person could negatively affect the Company and its operations. This means that the Company has the ultimate discretion to use the proceeds as it sees fit and has chosen not to set forth any specific uses for you to evaluate. The net proceeds from this Offering will be used for the purposes, which our management deems to be in our best interests in order to address changed circumstances or opportunities. As a result of the foregoing, our success will be substantially dependent upon our discretion and judgment with respect to allocation of the net proceeds of this Offering. The Company may choose to use the proceeds in a manner that you do not agree with and you will have no recourse. A use of proceeds that does not further the Companys business and goals could harm the Company and its operations and ultimately cause a Purchaser to lose all or a portion of his or her investment. We are subject to income taxes as well as non-income based taxes, such as payroll, sales, use, value-added, net worth, property and goods and services taxes, in both the U.S. and foreign jurisdictions. Significant judgment is required in determining our provision for income taxes and other tax liabilities. In the ordinary course of our business, there are many transactions and calculations where the ultimate tax determination is uncertain. Although we believe that our tax estimates are reasonable: (i) there is no assurance that the final determination of tax audits or tax disputes will not be different from what is reflected in our income tax provisions, accruals, and expense amounts for non-income based taxes and (ii) any material differences could have an adverse effect on our financial position and results of operations in the period or periods for which such determination is made. Changes in government regulation are difficult to predict and could adversely impact our business. The internet/entertainment industry, including the streaming technologies we utilize, is subject to extensive legislation and regulation at the federal and local levels and, in some instances, at the state level. Many aspects of such regulation are the subject of judicial and administrative proceedings, legislative and administrative proposals, and lobbying efforts by those in the industry. Legislation could entirely rewrite our principal regulatory statute. The FCC and/or Congress may change the classification of our services, the way that our streaming services are regulated, the framework under which broadcast signals are carried, the copyright compulsory license, or the rights and obligations of our competitors. We expect that court actions and regulatory proceedings will continue to refine our rights and obligations under applicable federal, state and local laws, which cannot be predicted. Modifications to existing requirements or imposition of new requirements or limitations could have an adverse impact on our business. New gaming technologies may make our products and services obsolete or unneeded. The Companys success relies on the popularity of physical games, such as board games or card games. New and emerging technological advances in the gaming industry that allow consumers to play or view virtual gaming content may adversely impact or eliminate the demand for our products and services. The increasing availability of such virtual gaming content on various devices and the improved video quality of the content on mobile devices may make individuals less likely to purchase our services. The gaming and streaming industry are ever-changing as new technologies are introduced. Increased competition in the gaming industry may adversely affect our business and results of operations. Our business is subject to risks relating to increasing competition for the leisure time and discretionary spending of consumers. We compete with all other sources of entertainment. Technological advancements, such as new video formats and Internet streaming and downloading of programming that can be viewed on televisions, computers and mobile devices have increased the number of entertainment choices available to consumers and intensified the challenges posed by audience fragmentation. The increasing number of choices available to audiences, including low-cost or free choices, could negatively impact not only consumer demand for our products and services, but also advertisers willingness to purchase advertising from us. Our failure to effectively anticipate or adapt to new technologies and changes in consumer expectations and behavior could significantly adversely affect our competitive position and its business and results of operations. Our success depends on consumer acceptance of the live streaming content and we may be adversely affected if such content fails to achieve sufficient consumer acceptance. We rely on entertainment content provided by third-parties, such as video game creators and other suppliers, the success of which depends substantially on consumer tastes and preferences that change in often unpredictable ways. We do not own or acquire any interest in the content provided by the live streaming source, but our products heavily rely on the popularity and success of the content. If we develop new products to be used in conjunction with the third-party content and the third-party content is not successful, then the Company and its financial performance could be adversely affected. Technology companies, including many of the Companys competitors, frequently enter into litigation based on allegations of patent infringement or other violations of intellectual property rights. In addition, patent holding companies seek to monetize patents they have purchased or otherwise obtained. As the Company grows, the intellectual property rights claims against it will likely increase. The Company intends to vigorously defend infringement actions in court and before the U.S. International Trade Commission. The plaintiffs in these actions frequently seek injunctions and substantial damages. Regardless of the scope or validity of such patents or other intellectual property rights, or the merits of any claims by potential or actual litigants, the Company may have to engage in protracted litigation. If the Company is found to have infringed on one or more patents or other intellectual property rights, regardless of whether it can develop non-infringing technology, it may be required to pay substantial damages or royalties to a third-party, or it may be subject to a temporary or permanent injunction prohibiting the Company from marketing or selling certain products. In certain cases, the Company may consider the desirability of entering into licensing agreements, although no assurance can be given that such licenses can be obtained on acceptable terms or that litigation will not occur. These licenses may also significantly increase the Companys operating expenses. Regardless of the merit of particular claims, litigation may be expensive, time-consuming, disruptive to the Companys operations and distracting to management. In recognition of these considerations, the Company may enter into arrangements to settle litigation. If one or more legal matters were resolved against the Company, the Companys consolidated financial statements for that reporting period could be materially adversely affected. Further, such an outcome could result in significant compensatory, punitive or trebled monetary damages, disgorgement of revenue or profits, remedial corporate measures or injunctive relief against the Company that could adversely affect its financial condition and results of operations. We must acquire or develop new products, evolve existing ones, address any defects or errors, and adapt to technological change. To succeed in our intensely competitive industry, we must continually improve, refresh and expand our product and service offerings to include newer features, functionality or solutions, and keep pace with price-to-performance gains in the industry. Shortened product life cycles due to customer demands and competitive pressures impact the pace at which we must introduce and implement new technology. This requires a high level of innovation by our software developers. In addition, bringing new solutions to the market entails a costly and lengthy process, and requires us to accurately anticipate customer needs and technology trends. We must continue to respond to market demands, develop leading technologies and maintain leadership in analytic data solutions performance and scalability, or our business operations may be adversely affected. We must also anticipate and respond to customer demands regarding the compatibility of our current and prior offerings. These demands could hinder the pace of introducing and implementing new technology. Our future results may be affected if our products cannot effectively interface and perform well with other live streaming services, or if we are unsuccessful in our efforts to enter into agreements allowing integration of our product. Our efforts to develop the interoperability of our products may require significant investments of capital and employee resources. In addition, many of our principal products are used with products offered by third parties and, in the future, some vendors of non-Company products may become less willing to provide us with access to their products. As a result of these and other factors, our ability to introduce new or improved solutions could be adversely impacted and our business would be negatively affected. The development and commercialization of our products is competitive and industry consolidation may result in increased competition, which could result in a loss of customers or a reduction in revenue. We face competition with respect to any products that we may seek to develop or commercialize in the future. Our competitors include major companies worldwide. Many of our competitors have significantly greater financial, technical and human resources than we have and superior expertise in research and development and marketing approved products and thus may be better equipped than us to develop and commercialize products. These competitors also compete with us in recruiting and retaining qualified personnel and acquiring technologies. Some of our competitors have made or may make acquisitions or may enter into partnerships or other strategic relationships to offer more comprehensive services than they individually had offered or achieve greater economies of scale. In addition, new entrants not currently considered to be competitors may enter our market through acquisitions, partnerships or strategic relationships. We expect these trends to continue as companies attempt to strengthen or maintain their market positions. Accordingly, our competitors may commercialize products more rapidly or effectively than we are able to, which would adversely affect our competitive position, the likelihood that our products will achieve initial market acceptance and our ability to generate meaningful additional revenues from our products. Like others in our industry, we continue to face advanced and persistent attacks on our information infrastructure where we manage and store various proprietary information and sensitive/confidential data relating to our operations. These attacks may include sophisticated malware (viruses, worms, and other malicious software programs) and phishing emails that attack our products or otherwise exploit any security vulnerabilities. These intrusions sometimes may be zero-day malware that are difficult to identify because they are not included in the signature set of commercially available antivirus scanning programs. Experienced computer programmers and hackers may be able to penetrate our network security and misappropriate or compromise our confidential information or that of our customers or other third-parties, create system disruptions, or cause shutdowns. Additionally, sophisticated software and applications that we produce or procure from third-parties may contain defects in design or manufacture, including bugs and other problems that could unexpectedly interfere with the operation of the information infrastructure. A disruption, infiltration or failure of our information infrastructure systems or any of our data centers as a result of software or hardware malfunctions, computer viruses, cyber attacks, employee theft or misuse, power disruptions, natural disasters or accidents could cause breaches of data security, loss of critical data and performance delays, which in turn could adversely affect our business. To remain competitive, we must continue to enhance and improve the functionality and features of our technology infrastructure. As a result, we will need to continue to improve and expand our hosting and network infrastructure and related software capabilities. These improvements may require greater levels of spending than we have experienced in the past. Without such improvements, our operations might suffer from unanticipated system disruptions, slow application performance or unreliable service levels, any of which could negatively affect our reputation and ability to attract and retain customers and contributors. Furthermore, in order to continue to attract and retain new customers, we are likely to incur expenses in connection with continuously updating and improving our user interface and experience. We may face significant delays in introducing new services, products and enhancements. If competitors introduce new products and services using new technologies or if new industry standards and practices emerge, our existing websites and our proprietary technology and systems may become obsolete or less competitive, and our business may be harmed. In addition, the expansion and improvement of our systems and infrastructure may require us to commit substantial financial, operational and technical resources, with no assurance that our business will improve. There is no guarantee of a return on the Purchasers investment. Purchasers will not have the right to vote upon matters of the Company even if and when their Securities are converted into CF Shadow Securities. Upon such conversion, CF Shadow Securities will have no voting rights and even in circumstances where a statutory right to vote is provided by state law, the CF Shadow Security holders are required to enter into a proxy agreement which ensures their CF Shadow Securities will vote with the majority of the security holders in the new round of equity financing upon which the Securities were converted. For example, if the Securities are converted upon a round offering Series B Preferred Shares, the Series B-CF Shadow Security holders will be required to vote the same way as a majority of the Series B Preferred Shareholders vote. Thus, Purchasers will never be able to freely vote upon any director or other matters of the Company. Unlike convertible notes and some other securities, the Securities do not have any default provisions upon which the Purchasers will be able to demand repayment of their investment. The Company has ultimate discretion as to whether or not to convert the Securities upon a future equity financing and Purchasers have no right to demand such conversion. Only in limited circumstances, such as a Liquidity Event (as defined below), may the Purchasers demand payment and even then, such payments will be limited to the amount of cash available to the Company. The Company may never receive a future equity financing or elect to convert the Securities upon such future financing. In addition, the Company may never undergo a Liquidity Event such as a sale of the Company or an IPO. If neither the conversion of the Securities nor a Liquidity Event occurs, the Purchasers could be left holding the Securities in perpetuity. The Securities have numerous transfer restrictions and will likely be highly illiquid, with no secondary market on which to sell them. The Securities are not equity interests, have no ownership rights, have no rights to the Companys assets or profits and have no voting rights or ability to direct the Company or its actions. Wilson has always been a positive influence in helping me reach the next level of my Magic: the Gathering career and I wanted to be a part of the next big step that I feel MTG needs to take to become a true Esport. According to Wikipedia, regular card games have been around since at least the 1300s, but then came the year 1993! It's not just 'Magic: The Gathering', it is the diversity of these universes, the incredible beauty + attention to detail of the cards. Glad to see Wilson and James in Beijing Orlov 2018. Here I deliver my promise of supporting CardboardLive. Wish Cardboard Live can make more impact to Live Streaming and Card Game! Hope one day you can not only support Twitch but other platforms! I vision seems like a great idea. That is why I wanted to be a part of it. Regardless the outcome, I appreciate the vision and commitment made by James Hsu and Wilson Hunter. CardBoard Live overlay is significantly ahead other alternatives for streaming tools and that makes its success likely. The first time I saw their overlay I was amazed how brilliant its design was and wondered why somebody else had never thought it. Invested because its a new idea and it might have agood future..
Gaming via board games and video games is a great way to bring people together. Great idea and happy to help! It seems there a need for this platform/service. I believe in the founder's vision and knowledge of the platform he is building. I believe in the company. I'm looking forward to see how well you all DO. I’ve loved magic since I was a kid. People still love this game and many others. I believe in this idea and that it will succeed. Believe in the virtual world with a personal touch. I invested in CardBoard Live because I am an Avid Magic Player and believe that this company will bring to fruition the advancement and collective gathering of teamwork, cooperation and trust. I believe in the product and believe in the creators of the product! Iam trying to grow my money. And I believe in the product!!! !